July 7, 2017 by Beeraj Patel, Esq. Immigrants make up more than 43.3 million, or 13.5 percent, of the total Unites States population. While the U.S. population of immigrants is diverse, just a few countries make up the bulk share of this total. There are many reasons that immigrants come to America, whether seeking relative freedoms, escaping poverty or persecution, or simply to build better lives for themselves and their children. Known as the ‘land of opportunity’ the U.S. presents a chance for immigrants to start anew. Mexico makes up the largest segment of U.S. immigrants. In 2015, more than 11.6 million Mexican immigrants lived in the U.S. More than half reside in California or Texas while the rest are primarily spread across the West and Southwest. 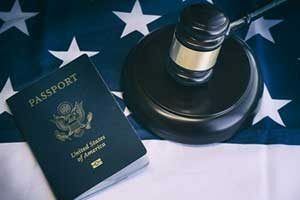 Most Mexican immigrants who acquire lawful permanent residence in the U.S. in the form of a green card qualify as immediate relatives of United States citizens. Mexicans also represent the largest number of unauthorized immigrants in the U.S., which increases their risk of deportation or removal. As Mexico shares a nearly 2,000-mile border with the U.S., it’s safe to say it will likely continue to be one of the top countries of origin of U.S. immigrants. Since 1990, the Philippines have remained one of the top countries of origin, accounting for more than 4.5 percent of the total U.S. immigrant population. Filipino immigrants come to America for a wide range of reasons. Since the U.S. annexation of the Philippines in 1899, the United States has continued to sponsor Filipino students to study at universities and colleges across the country. Filipinos have also migrated to the western part of the country, primarily Hawaii and California, over the last several decades to aid in agriculture labor shortages. Today, most Filipino immigrants acquire their green card through family reunification or employment-based channels. Immigrants from India first began arriving to the U.S. in the 1820s. Since then, the Indian population has surged to become one of the largest immigrant groups in the country. During their arrival in the 19th century, most Indian immigrants came to work in agriculture in parts of California. After the 1965 Immigration and Nationality Act which removed quotas of origin countries, a growing number of Indian students and professionals came to America in search of advanced education and employment opportunities. Today, Indian citizens are some of the top recipients of H-1B visas. The United States has seen irregular waves of Chinese immigrants over the decades. Between the 1850s and 1880s, the U.S. experienced its first wave of Chinese immigrants, followed by a halt due to federal restrictions. A second wave came in the late 1970s and has continued at a steady pace since. Hong-Kong born immigrants are amongst the largest group, accounting for about one in 10 Chinese immigrants. 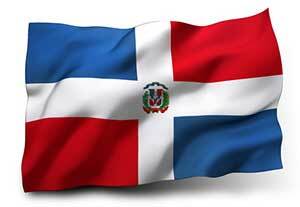 The U.S. has seen a rapid growth of Dominican immigrants in the last decade. They currently make up more than 2 percent of U.S. immigrants. More than half of all Dominicans live in New York State, while the majority of others reside in New Jersey, Massachusetts, Florida, Rhode Island, and Pennsylvania. Many find employment in the Caribbean territory of the United States, especially in the service sector. Dominicans also maintain a substantial presence in Puerto Rico. Prior to 1975, the Vietnamese immigrant population was fairly small. Every decade since the U.S. Vietnamese population has roughly doubled in size. Migration to the U.S. first began after the Vietnam War. Today, immigrants from Vietnam often flock to America for family reunification. Most of Vietnamese immigrants who acquire their green card qualify as family-sponsored immigrants or as immediate relatives of citizens in the U.S. Many settle in California, Texas, Washington, or Florida. As of 2013, more than 1.1 million immigrants from Cuba reside in the U.S. Large-scale migration to America first came after the overthrow of the Fulgencio Bastista regime in 1959. Between 1950 and 1960, the amount of Cuban immigrants more than doubled. Since then, the majority of Cuban immigrants entering the U.S. came through special humanitarian provisions instead of traditional pathways. Most settle in Florida which account for 77 percent of Cuban immigrants in the U.S.
Guatemalan immigration to the U.S. experienced sharp growth during the 1960s and has continued into the twenty-first century. During the 1980s, more than 60,000 Guatemalans were granted legal permanent resident status. In 2015, more than 3.4 million Central Americans resided in the U.S. representing 8 percent of U.S. immigrants. The largest Guatemalan immigration community currently in the United States is located in Los Angeles. Other large communities of Guatemalans can be found in New York City, Houston, Chicago, Washington, D.C., San Francisco, New Orleans, and southern Florida. Also in Central America is El Salvador. During the civil wars of the 1980s, thousands of Salvadorans fled their country of origin for safety in the United States. This caused the El Salvador immigrant population to increase nearly fivefold from 1980 to 1990. Salvadorans continued to come to America well into the 1990s and 2000s for family reunification and to escape natural disasters such as hurricanes and earthquakes. More than half of all Salvadorian immigrants live in just two states, Texas and California. However, other sizable groups can be found in Virginia, Maryland, New York, and the District of Columbia. Korean immigration to the U.S. remained small until the late twentieth century. However, by the twenty-first century Koreans had become one of the fastest growing ethnic groups in the U.S. Korean immigration was mostly driven due to economic, political, and military relations between Korea and the U.S. After immigration restrictions were lifted in 1965, immigrants flocked to the U.S. 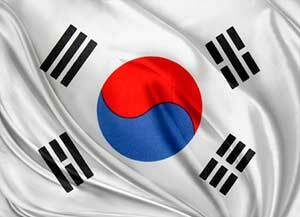 In recent years, the Korean immigration population has slowed significantly. Today many have returned to take advantage of business and economic opportunities. America is a melting pot of different races, ethnicities, cultures, and religions. The United States welcomes people from many countries all over the world to find freedom, gain new opportunities, and seek a better way of life. However, immigration authorities can remove immigrants at any time for a wide range of reasons. If you’re facing deportation or removal, contact an immigration lawyer to protect your interests.